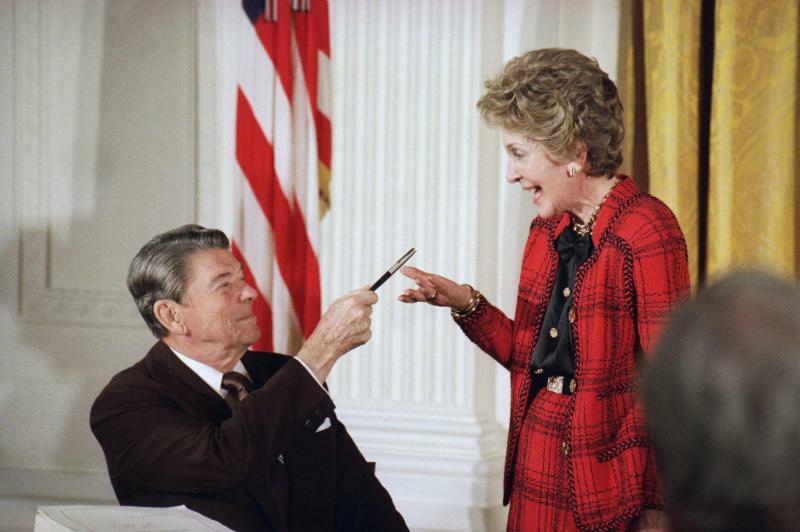 October 14, 1982, President Ronald Reagan Declared A “War On Drugs.” Now, The Green Boom Is An Incredible Story Of De-Stigmatization, Entrepreneurship, And Opportunity. It Also Risks Becoming A Staggering Tale Of Hypocrisy. 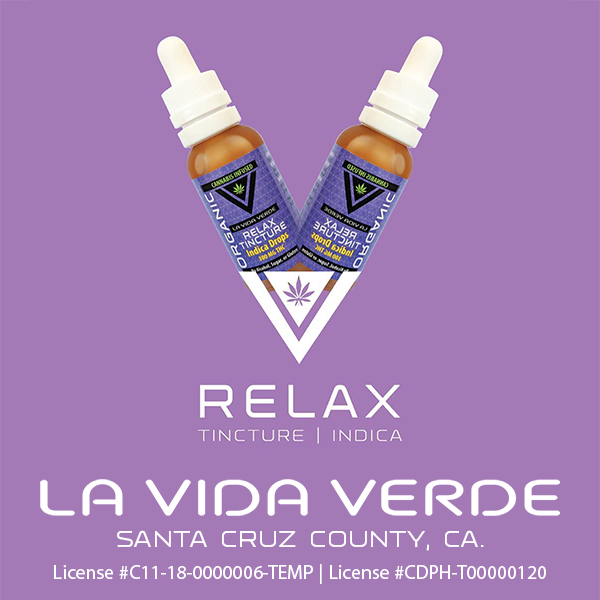 Quartz (January 25, 2019) Since California legalized recreational cannabis in January 2018, pot enthusiasts in posh sections of Los Angeles can sleep easily with a few drops of CBD oil under the tongue. In places like this, weed is chic. But just a few freeway exits away, in largely black and Latino neighborhoods where cannabis was aggressively policed for decades, people saddled with criminal convictions for possessing or selling the plant still fight to clear criminal records standing in the way of basic necessities. The US’s legal weed explosion is an incredible story of de-stigmatization, entrepreneurship, and opportunity. It’s also at risk of becoming a staggering tale of hypocrisy, greed, and erasure. But as a deep-pocketed industry with political momentum, American cannabis is uniquely positioned to serve as a model for what racial reparations could look like. Sacramento Business Journal (January 25, 2019) After two robberies of Sacramento cannabis companies in recent weeks, Joe Devlin, the city’s chief of cannabis policy and enforcement, encouraged cannabis business owners to vary their operations. The cannabis industry is ripe for robberies and burglaries because it’s largely an all-cash business. The two robberies that occurred this year may be related. In addition to implementing “irregular” procedures for handling cash and deliveries, Devlin encouraged operators to limit the number of employees who have information about transactions. NBC 7 San Diego (January 24, 2019) Increased efforts to curb illegal marijuana lead San Diego Police Department narcotics officers to a so-called “marijuana farmer’s market” in North Park Thursday where they detained several vendors selling pot illegally. SDPD officers raided the center at around 4:20 p.m. and arrested two men identified as the event organizers. More than 10 others were cited for illegal marijuana sales and business permit infractions. Weed News (January 255, 2019) There’s no doubt that cannabis will play a major role in the 2020 elections, and it’s almost certain to be a sticking point in any presidential debate—especially as a litmus test in the Democratic primaries. President Donald Trump has gone back and forth on the matter, but has mostly just stayed out of it. His former attorney general, Jeff Sessions, was a notorious prohibitionist who repealed the Cole Memo in January 2018, and Trump’s White House has developed a mysterious interagency called the Marijuana Policy Coordination Committee. For the growing field of Democratic challengers, though, it’s a race to establish firm footing in the rapidly growing cannabis constituency. My San Antonio (January 25, 2019) Most analysts are predicting no longer whether, but when, cannabis will become federally legal for adult use in the United States, as it has in Canada, Uruguay and a few other countries, with others such as Mexico expected to soon follow. It may come in the form of the government itself removing cannabis as a scheduled drug under the Controlled Substances Act. It may come in the form of the current STATES Act pending in Congress, which would remove state-legal compliance from being subject to the CSA, or through other Congressional action. It may come through court action, such as the current constitutional challenge to the CSA as it applies to cannabis, whose initial dismissal was recently argued on appeal. Weed News (January 25, 2019) It’s a fundamental of our political system that governors play a critical role in shaping policy at the state level—and even beyond. Governors can use their position as a bully pulpit to advance their agenda, they can use their budget proposals or empower commissions to shape legislation, and they have the power to kill legislation they don’t like with their veto pens. With public opinion having shifted dramatically in favor of marijuana legalization—an October Gallup poll had support nationwide at 66 percent, including even a majority of Republicans—and several years worth of legalization to look at in pioneering states such as Colorado and Washington, more and more governors are getting on the legalization bandwagon. Real Money (January 25, 2019) Pharmaceutical companies have no desire to be left behind as medical cannabis gets legalized in more states. The likelihood of even adult-use cannabis getting legalized is looking pretty solid, too. That has these companies working to see where they can plant their flag in the new landscape. The Verge (January 24, 2019) Young people living in liberal states consume more marijuana, but have lower rates of marijuana dependence, according to a new study from Columbia University’s Mailman School of Public Health. Crucially, this finding is true regardless of whether the state legalized medical marijuana, suggesting that the broader political climate affects how people use the drug. It also serves as a reminder that the effects of legalization will look different in different states. In general, people in both liberal and conservative states are consuming more marijuana. Cannabis Business Times (January 25, 2019) This week, a federal court order recognized free speech for a cannabis producer when it ruled in favor of New Mexico’s Ultra Health, which filed a complaint against New Mexico State Fair officials for unconstitutional attempts to limit Ultra Health’s rights to display a cannabis educational booth at the 2017 State Fair. Elsewhere, in Connecticut, lawmakers introduced the state’s first recreational marijuana legalization bill.